Return Man 1 ia a online football game that everyone play at Friv.com For FREE. Play cool football games and learn how to become the champions, the kings of the return man world! So let's start at the keys of the challenge. With "I" Players run forward, with "J" you run left and with "L" run to right. If you want to pause the game you can, when you want to continue then press on "Space Bar". Now to the goal of the game here. As well as real football game also here at Return Man 1 We'll meet the famous balls. The main mission is to do touchdown successfully. Through sprint running in accordance with the rules of the real football game. You must catch the ball and run with him all over the field zone when none of the opponents can not steal the ball from your hands. Return Man 1 is really cool 3D game that players can play online at friv.com 2. this version is the return man unblocked game so you can play free as you like without interference. 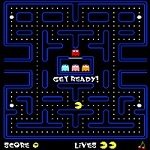 Play Return Man Game and have fun!